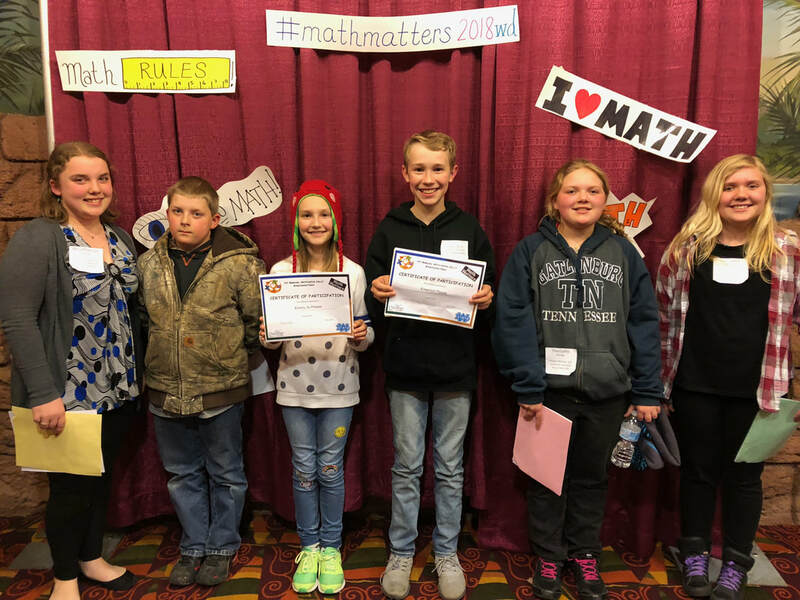 Students from 8 area districts gathered in the Dells to compete in a problem solving math meet . They solved problems individually and in a team of five. Over 200 students participated from grades 5, 6, and 7. Portage took 30 students to the event which took place at the Chula Vista convention center. Congratulations to Michael V and Ezra L who each won second place medals for their grade level! 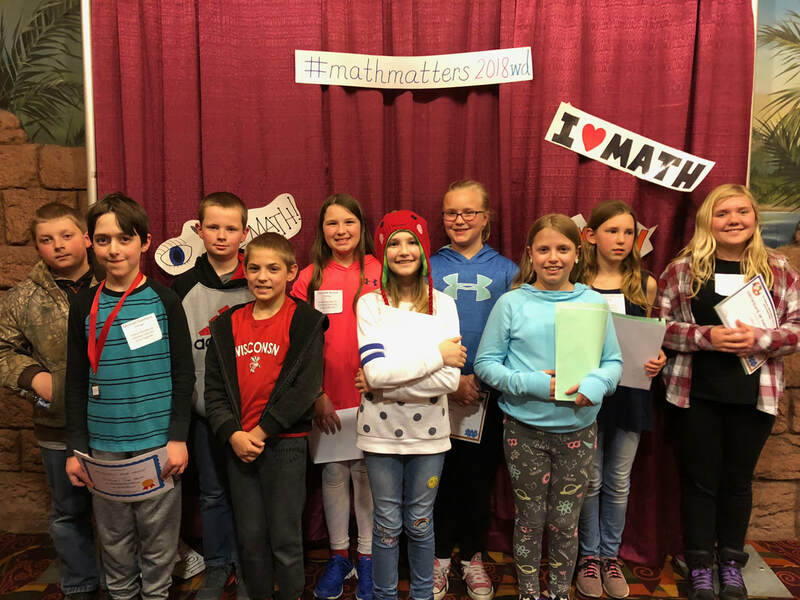 Other elementary students who participated were Olivia G, Ally S, Jillian M, Emmy Jo P, Spenser P, David N, Samantha N, Carsten K and Lenci L. Everyone did a fantastic job! 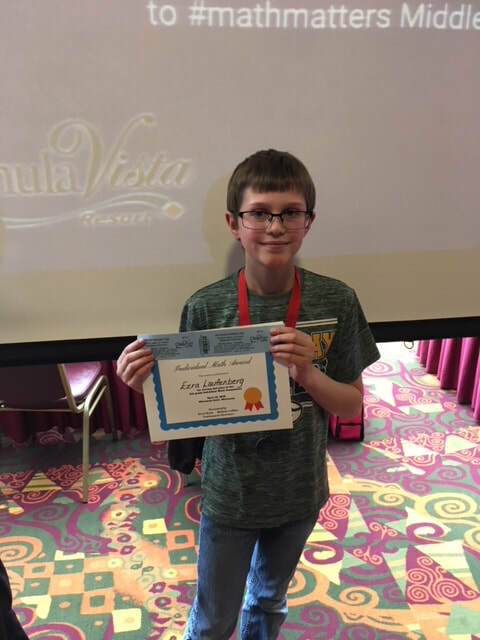 Michael V won 2nd place in grade 5. 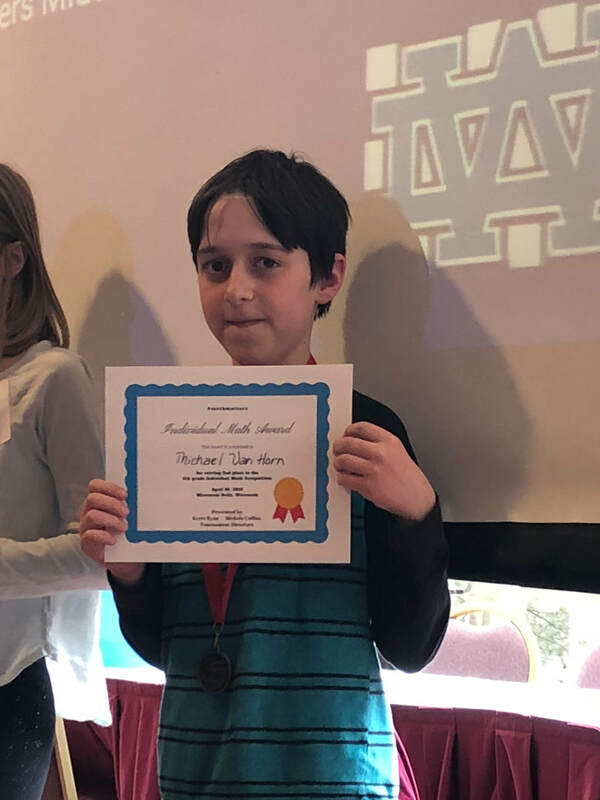 Ezra L won 2nd place in grade 6. Good math genes run in the family! We had 3 sets of siblings participate in Math Matters! ​Olivia and Spenser P, Emmy and Emerson P, Thea & Lenci L.